Chief Perry began his career in the Forensic Unit at the Department of Mental Health Public Safety in 1995, then becoming a Police Officer at the City of West Columbia in 1997. On July 15th, 1998, Chief Perry started his career at the Irmo Police Department as a Patrolman. Since starting with the department, he worked his way up through the ranks and became the Chief of the Irmo Police Department in December of 2016. Chief Perry believes in a strong “Community Policing” concept and has lived in the Irmo Community all his life. Chief Perry has an open-door policy and encourages the community to “meet and greet” the department and its personnel. Chief Perry has reinforced programs at the department such as the Explorer Post, Serving our Seniors, and the Ride Along Program. 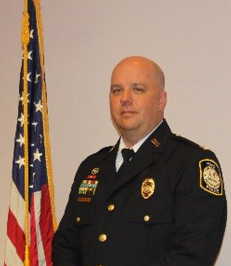 Captain Dennis began his career with the Irmo Police Department as a Reserve Police Officer and was hired full time in 2002 as a Patrol Officer. Since starting with the department, he has worked his way through the ranks and served in a variety of positions including K9 Officer, Field Training Officer, Evidence Custodian, Patrol Corporal, Patrol Sergeant, and later serving as the Sergeant over the Criminal Investigations Division. Captain Dennis now has the responsibility of serving as the department’s training coordinator and Professional Standards Officer along with serving as the Assistant Chief of Police. Captain Dennis has command over the patrol and investigations division along with supervising the administrative staff, volunteers and reserve officers. Captain Dennis is a long time local resident, growing up in Irmo and attending Irmo High School. 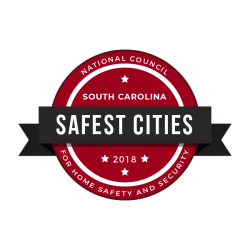 Captain Dennis has a vast knowledge of law enforcement concepts and has received training in a wide variety of police procedures, leadership and executive management preparing him for his success at the Irmo Police Department. Our Records Division consist of three staff members who have over 20 years’ experience at The Irmo Police Department. In accordance with the South Carolina Freedom of Information Act (FOIA), S.C. Code Ann. §30-4-30, et seq. (1976, as amended), persons have the right to inspect and copy public records. All requests for public records of the Irmo Police Department should be directed to the Records Division. Please note that you must obtain the report in person during business hours (Monday – Friday from 8:30 am to 5:00 pm). *some reports require a fee to obtain depending on the amount of time needed to research and prepare the requests. CLICK ON THE BELOW FREEDOM OF INFORMATION POLICY BELOW TO SEE A FEE SCHEDULE. For more information, visit the Freedom of Information Requests and Fee Schedule page.